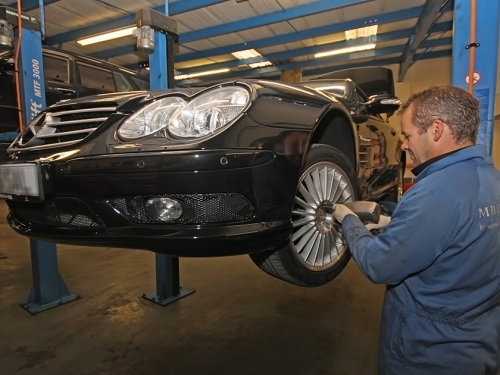 The MB Centre is now the largest most experienced independent Mercedes-Benz specialist in Nottingham, with 9 former B&K Thomas staff who have a combined experience of over 195 years, and we provide an unrivalled service from minor maintenance service on a new S-Class to a complete engine rebuild on a classic of yesterday. 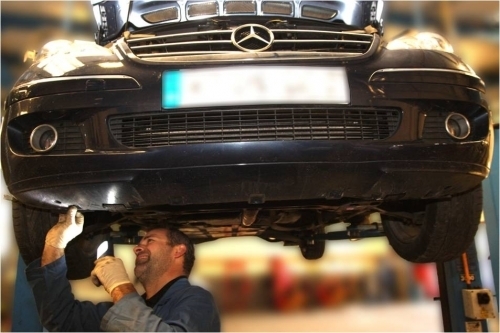 Our company comprises former employees of B&K Thomas and Mercedes-Benz of Nottingham. 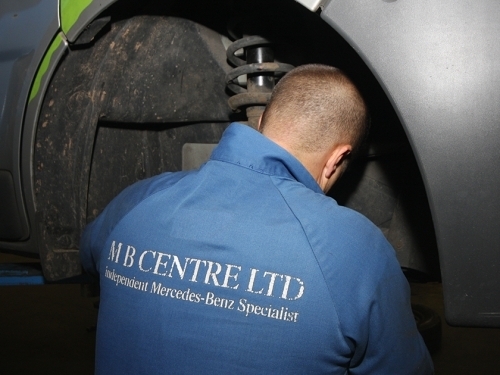 The MB Centre currently employs only former Mercedes-Benz main dealer technicians. The company's original premises were in Little Tennis Street in Colwick with just 2 members of staff, Nick Winter & Julian Wild. They remained there for three years with a steady growth until customer demand and a desire to expand the company created the need for larger premises. In January 2009 The MB Centre moved to a new 6,000 square foot building at the far end of Little Tennis Street and now employs 9 members of staff and we are still growing. This has increased our capacity and allowed us to operate more efficiently and offer a 'dealer level service' at a fraction of the cost. 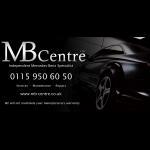 MB Centre is an Independent Mercedes-Benz Specialist established in 2005 and based in Nottingham. 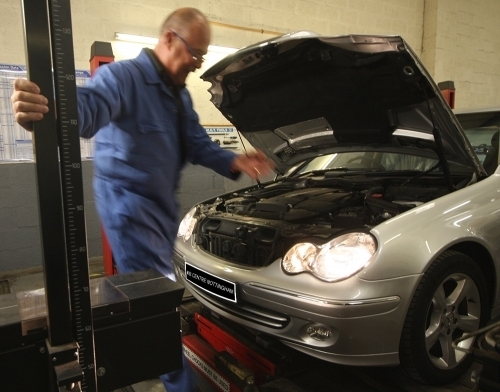 They offer Car Servicing, Car Repairs, Diagnostics, MOTs, Brakes & Clutches, Gearboxs, Air Conditioning and Commercial Van Servicing, half the price of main dealers. 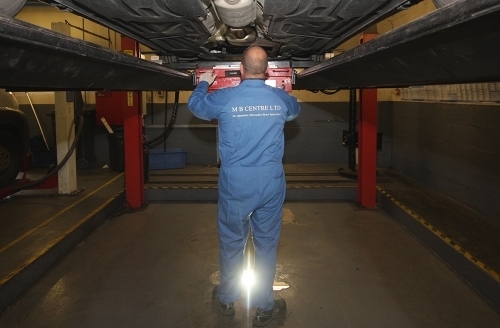 The MB Centre is now the largest most experienced independent Mercedes-Benz specialist in Nottingham, with 9 former B&K Thomas staff who has a combined experience of over 195 years, and can provide an unrivalled service from minor maintenance service on a new S-Class to a complete engine rebuild on a classic of yesterday. 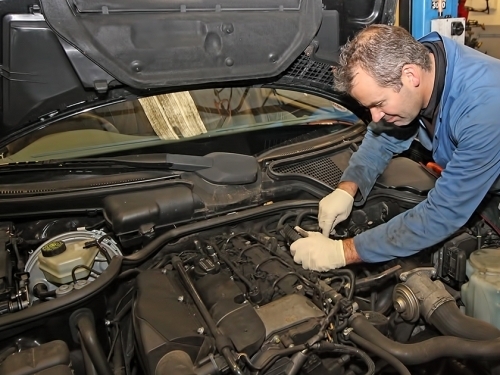 They can also arrange MOT tests for all vehicles both petrol and diesel, ranging from A-Class to the 190 Series. 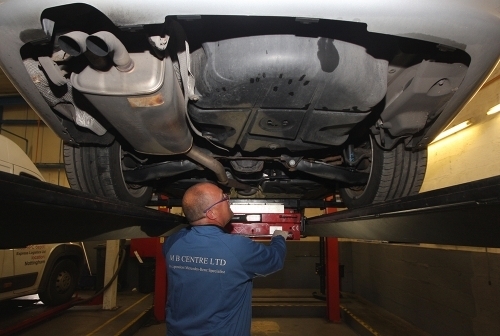 MB Centre cover the entire MOT, including lights, steering and suspension, brakes, seatbelts, and all MOT tests come with a free re-test. 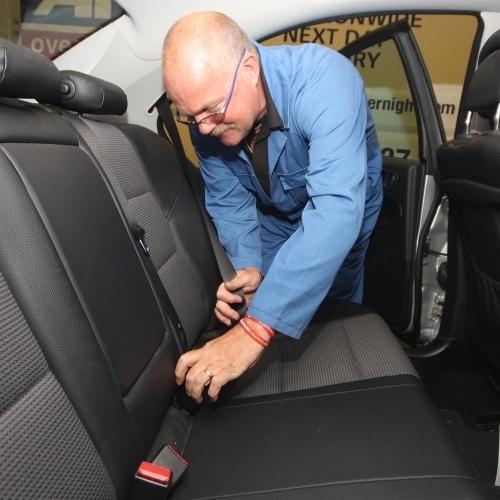 Your service book will be stamped, your warranty will be protected and they include free collection, delivery & hand wash, assuring you a hassle free alternative to servicing your vehicle. 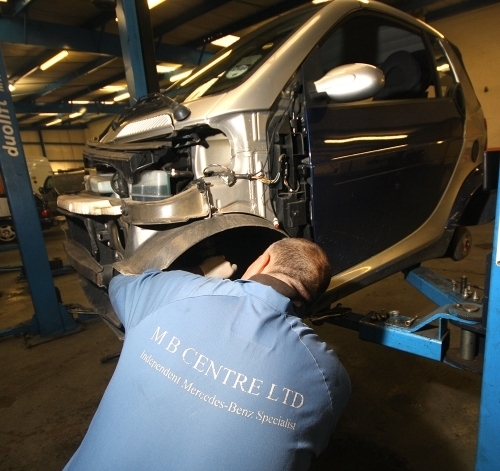 In addition, The MB Centre can work on Dent Repairs, Alloy Wheel Repair and Refurbishment, Chipping for performance or fuel economy, Four Wheel Alignment, Tyres and Parking Sensors. Customers can find the services of The MB Centre available in the areas of Nottingham, Derby and Leicester. For more information please feel free to browse their website from the link above or call the helpline number also above. Simply the best value and service! I have used the MB Ctr for as long as they have been trading and I am always impressed with the service and attention to detail. They will work on any make of car, not just merc's, so I would recommend them to anyone. My 10 year old S500 has been looked after by the guys here for 5 years and it still drives like new. Nice people, good service, reasonable prices, what more can you ask for? always use these guys to service my beloved CLS. 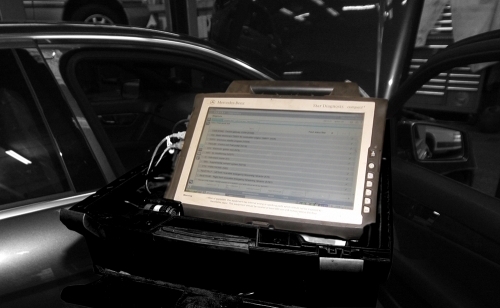 Read about ECU remapping on Google but was sceptical. Asked these guys and to my suprise they did it!! Booked it in... 90 mins all done.... And one word WOW!!!!! The car is totally transformed!!! More power, much more torque.... Overtaking is breathtaking! And 25% more mpg!!! Best money ever spent (don't tell the Mrs!) apart from originally buying the car!! Would recommend to anyone!!!! I have always used Mercedes dealerships for repairs & service so I was a little apprehensive taking my beloved SLK anywhere else. I need not have worried because MB Mercedes Colwick,( be careful there are 2 MBs in Nottingham) are excellent & their attention to detail is better than the main dealers,also they don't treat you as an idiot. I am from Worksop 35 mile away & MB are definitely worth the trip. Highly recommended. There seems to be no limit to the scope of the service which Nick Winter and his team at the MB Centre Ltd can provide to keep both my venerable190Es in exceptional condition. 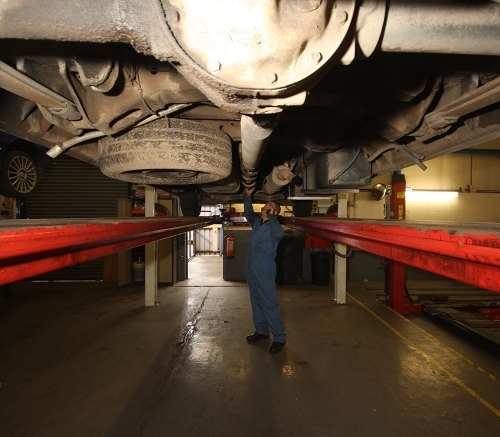 No job seems too small or too large; replacing a sun visor retaining clip, changing a complete rear axle and curing an elusive intermittent starting problem are just a few examples of work done effectively during the last seven years. Recently, the bodywork of one of the cars was significantly damaged in an accident. 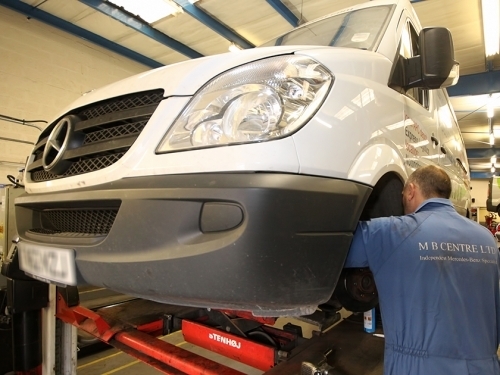 The MB Centre team dealt with all aspects of the repair to my complete satisfaction. 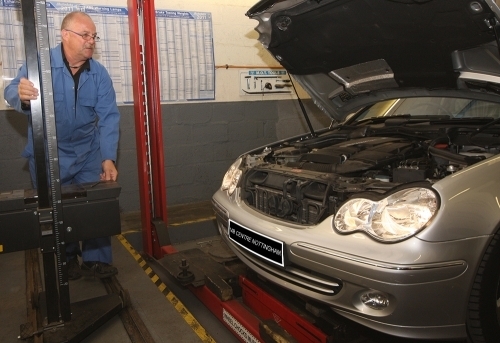 This included vehicle recovery, explaining to the insurance inspector why the car should not be written off, procuring replacement parts, supervising the work at the approved contractor's site and finally checking the wheel and headlamp alignments. 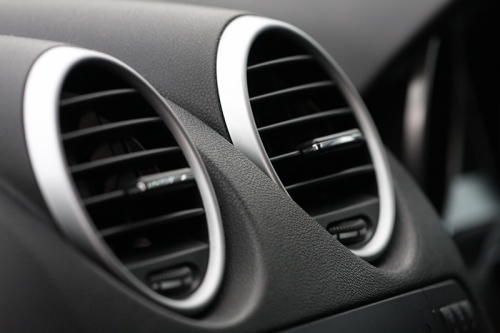 The booking service is efficient, customers are kept well informed and cars are returned in a clean condition. I intend to continue to use the MB Centre and am pleased to recommend the company to other owners of Mercedes-Benz cars. 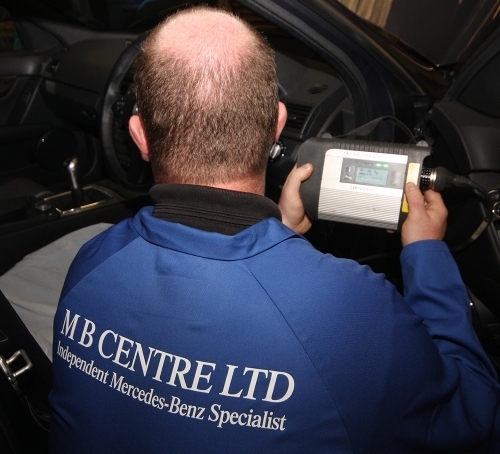 My latest Mercedes SLK is the latest in a long line of vehicles serviced and maintained by MB Centre. The staff are friendly and very helpful and the level of skill and knowledge is obvious from the moment they answered the phone for my initial inquiry right through to collecting my car, cleaned and repaired superbly to the kind of standard I would expect as a Mercedes owner. The parts were genuine, as was the warm welcome. For this level of expertise I would have paid a great deal more from the main dealer. I would recommend this company to anyone who loves their car. Had not used this garage before but after the time taken with my vehicle and the expertise of the staff, I shall be returning without a doubt. My latest Mercedes E 320 Sport was fun to drive and resionably economic. Nick suggested chipping for performance and economy. How can you have both I thought! My 6 year old car has been transformed. Performance has been enhanced with faster response all around but the economy has increased by 25% The other week I returned 54.9 to the gallon, Nick says he has achieved 55.2 from this engine. In these tough times with fuel prices forever going skywards the re-mapping cost will pay for itself in a dozen fill ups. I have used Nick and the crew from the beginning in 2005 I wouldnt keep coming back unless they were the best. A garage to trust in an industry we generally don't! My own business relies massively on positive customer feedback and personal recommendations. I've got a 10 year CLK320 and every time I take it to these guys I feel that they only do what is essential, advise what might be needed in due course and never look to overcharge me. Their pricing is extremely favourable and their willingness to always help is greatly received. I will never go elsewhere. You should not see them as just Mercedes dealers. If they ever want to open another branch I'd happily help fund it. Been using MB Centre for 6 years now, ever since Nick started the business. 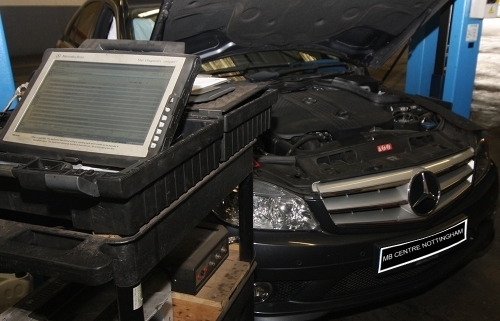 They are honest, trustworthy, good at diagnosing Mercedes-specific problems and cheaper than a main dealer. 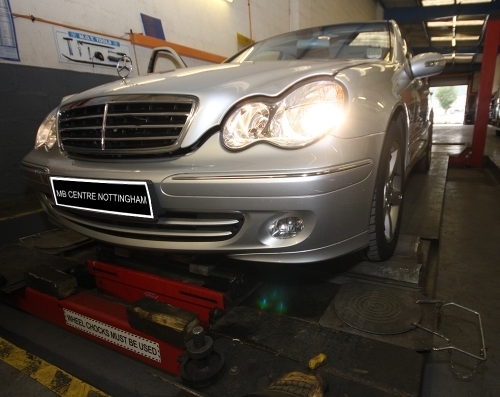 They are also better mechanics, more trustworthy and more efficient than the other Merc independent in Lenton, Nottingham, which is confusingly called MB Nottingham. Unfortunately, I have MB Nottingham twice, once in 2005 (when they were called Mercedes First) and once in 2010. First time they charged for brake fluid change and yet fluid still dirty after the work. Second time they misdiagnosed the problem with my cruise control and quoted for a big replacement job. I didn't think their diagnosis made sense and took it to MB Centre in Little Tennis St and they correctly diagnosed it as damaged cabling, saving me a fortune compared to the MB Nottingham quote. Just remember to go to the right independent; 'MB Centre' in Little Tennis St NG2 4EL, not the other one! I was sceptical whether or not to have my Audi A5 re-mapped as I was worried about changing it from factory settings however since 'taking the leap' and having it done, I am amazed by the results. The car now drives like a dream, it not only has much more talk when I want it (which was the main reason I wanted it done) but to my surprise it is also much better on fuel economy when I drive sensible. The boys at MB Centre were top class. I highly recommend this service! A must do!!! 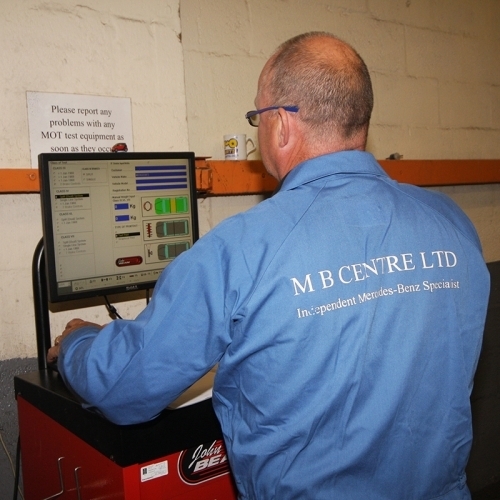 MB Centre provides a friendly, helpful and knowlegeable service. The team are clearly Mercedes Benz enthusiasts, they know what they are talking about and, for those of us old enough to remember when B&K Thomas set the benchmark, MB Centre are worthy successors! What a refreshing change, too, to find that a car returns from a service duly cleaned, both inside and out. Thoroughly recommended. I was recommended this garage through a friend. Being female and not knowing a lot about my sporty car the staff were very helpful. My car came back clean and repaired. I would highly recommend this garage for there honest and efficient work. 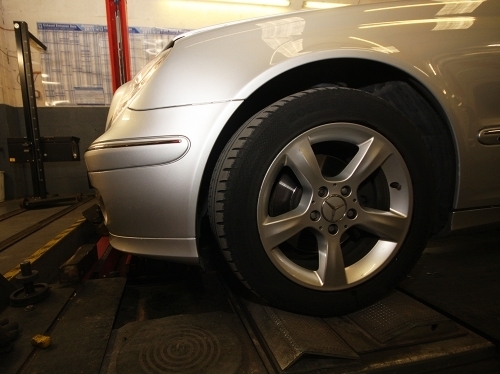 Good reliable service, to finally find a garage that is reliable and trustworthy is great!! I would highly recommend to anyone and all my relatives have now moved to this garage as it is so honest, clean and friendly. Highly Recommended. I started using the MB Centre approximately 2 years ago, after a terrible experience with another so called independent in the Lenton area (do not confuse with the MB Centre!). This garage is friendly, honest and reliable. 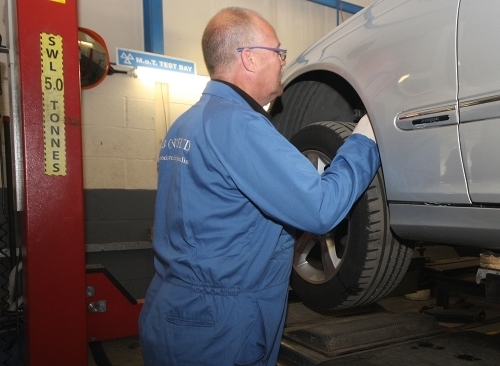 It is wholly staffed with Mercedes trained technicians that I can remember from the days when I used the main dealer in Nottingham, which was reassuring. Anyone with doubts about using the MB Centre would be easily reassured by the vast array of training certification on display in the reception. I have been a customer for some 5/6 years and it has been a pleasure to see Nicks business grow over this time by giving excellant service and honest advice,something quite rare in the garage business..I have needed,on a couple of ocassions during this time,to have repairs carried out quickly and they have never failed to fit me in quickly. All the staff are friendly and obliging. I am not sure if I am MB centres furthest customer but drive my Mercedes nearly 2000 miles from southern Spain to get it serviced. I purchased the car with the help of Nick Winter and have trusted the servicing side to the MB centre. The car has been absolutely faultless and it is so reassuring to know that some of MBcentres staff have worked on my car at the Mercedes dealership from new. I am very surprised to read one negative review which really does not read true. I suspect that this must be confused with another garage as the MB centre is in Colwick not in Sneinton. I truly can not recomend this company enough absolutely first class. How pleasant it is to visit a garage where they genuinely care! 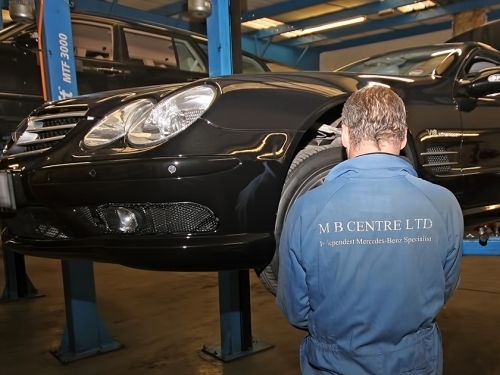 MB centre care for my Mercedes CLK, they are always very friendly and helpful and clearly have excellent product knowledge. It's never a problem for them to explain faults on my car in a way that I understand (Being female and not mechanically minded) and the prices are reasonable too! I always recommend them to my friends and colleagues and wouldn't trust anyone else with my car, 10 out of 10 from me!! As a company we have been using MB for about a year now and they are fantastic. They cant do enough for you, they have even taken on more pool vehicles to help us out when our cars are in the garage. All the staff are very friendly, helpful & knowledgeable. I would (& have) recommended them to friends & family! Fantastic service recieved, I would highly recommend all staff at MB centre, everything you ask is done and to the highest of standards. I took my car for a brake change,a full service. The price was very competitive so I asked for the work to be done. I had a rattle under my car that I could not locate to a part of the car so I did not mention it. When I picked the car up I was informed that the heat shield under the car was touching the exhaust and had been fixed. Not only has the rattle gone but I was not charged for this repair! I will recomend this garage to all my family and friends. Very happy. I have been taking my Mercedes-Benz to the MB Centre for the past 3 years. I am always happy with the service I get from the staff. They do a fantastic job on my car and I save a fortune compared to what I used to pay when I took the car to Mercedes-Benz. I recommend the MB Centre to all the people I know with a Mercedes-Benz.